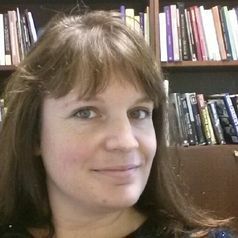 Suzie Thomas is University Lecturer in Museology at the University of Helsinki, Finland. She has a BA in Archaeology and Prehistory from the University of Sheffield, MA in Heritage Education and Interpretation from Newcastle University, and her PhD explored the relationships between archaeologists and metal-detector users in England and Wales. Previously she has worked at the University of Glasgow, the Council for British Archaeology, and a number of museums across the UK. Her research interests include community archaeology, treasure hunting and archaeology, the illicit trade in antiquities, voluntary action in museums, and museum education. Suzie is a founding editor of the Journal of Community Archaeology and Heritage.